Each and every day throughout Townsville there are countless senior residents who volunteer their time, contributing to the wellbeing of the Townsville community. Across our community, these volunteers connect people and provide services to others. The knowledge, skill, commitment and energy displayed by Townsville's senior residents is overwhelming. These volunteers give their time, energy and skills without seeking public recognition or accolades for their contribution. The Townsville City Council Senior Awards have been designed to provide public thanks to those quiet achieving seniors who give so much to our city. Nominate someone for a Seniors’ Award and go into a draw to win two tickets to see the North Queensland Cowboys play the Brisbane Broncos on Thursday 8 August! Entries open at 9am Monday 1 April 2019 and close at 5pm Monday 29 July 2019. Entries must be submitted via completed nomination Seniors’ Awards nomination form. The nomination must adhere to the eligibility criteria of the Seniors’ Awards nominations. Two (2) tickets to see North Queensland Toyota Cowboys play Brisbane Broncos on Thursday 8 August 2019, seats at Southern Grandstand, row D, seats 3 and 4. (valued at $50). The tickets cannot be substituted for any other prize or redeemable in cash ($50). A winner will be selected at random by the Public Affairs team located at Townsville City Council, 103 Walker Street, Townsville City, 4810 at 9:00am on Tuesday 30 July 2019. The winner will be notified by phone and email by Wednesday 31 July 2019. The Promoter is Townsville City Council, 103 Walker Street, Townsville City, 4810. If, for any reason, this competition is not capable of running as planned, including infection by computer virus, bugs, tampering, unauthorized intervention, fraud, technical failures or any other cause beyond the control of the promoter, which corrupt or affect the administration security, fairness, integrity or proper conduct of this competition, the promoter reserves the right in its sole discretion to disqualify any individual who tampers with the entry process, take any action that may be available, and to cancel, terminate, modify or suspend the competition. The Townsville City Council Seniors Awards are open to people aged over 60 who have voluntarily given their time for the good of the Townsville community. The volunteer activities must have occurred within the city of Townsville. 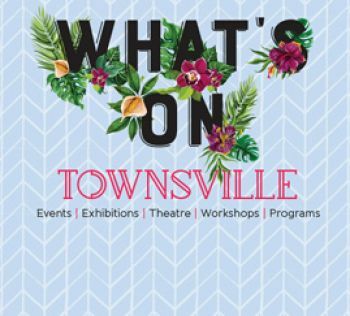 Award presentations will be held during the Townsville City Council Seniors Week Luncheon at Townsville Stadium, on Thursday 22 August 2019, 10.30am - 1pm and replayed via video on Friday 23 August 2019, 10.30am - 1pm. Nominations must be received by 5pm Monday 29 July, 2019. The nominee must be 60 years of age or over as at 1 July 2019. The nominee must be a permanent resident of Townsville. The nominee's activity must have been on a voluntary basis (unpaid) within the city of Townsville. The nominee must be aware of this nomination and be willing to accept an award. The nominator must be willing to act as a referee for the nominee. You may nominate a family member. However, if nominator is a family member, a referee must be provided. The information contained in this nomination must be completed in full and be true and correct to be accepted. Current members of the selection committee will not be considered for a Townsville City Council Seniors Award. The selection committee’s decision on the 2019 Townsville City Council Seniors Awards winner is final. Mrs Foley has contributed tirelessly to the Queensland Country Women's Association (QWCA) since joining in 2000. She plays a huge part in the QCWA Magnetic Garbutt Branch supporting and mentoring new members and the committee, and is the embodiment of QCWA ‘A Friend To All’. Mrs Foley has also volunteered for Lifeline, The Endeavour Foundation, Meals on Wheels, Rowes Bay Ladies Golf Club, Mundingburra State School, Central School and Pimlico High School. Mr Martin created the Vietnam Veterans Federation in Townsville over 30 years ago. Since then, he has served as President for many years, as well as Senior Vice President of the national body. Mr Martin is a qualified advocate and welfare officer and personally supports a large number of veterans and their families in Townsville. He is also one of the original creators of the Townsville Men's Shed, which opened in 2009. Mr and Mrs Bishop have made outstanding contributions to the community through dedicated volunteering over many years. Both are highly-valued volunteers at Ozcare Villa Vincent, supporting residents, their families and other volunteers.